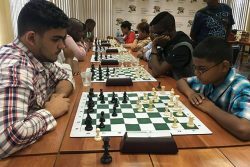 It was Jagnandan’s third victory for 2019 in as many tournaments hosted by the Guyana Chess Federation. 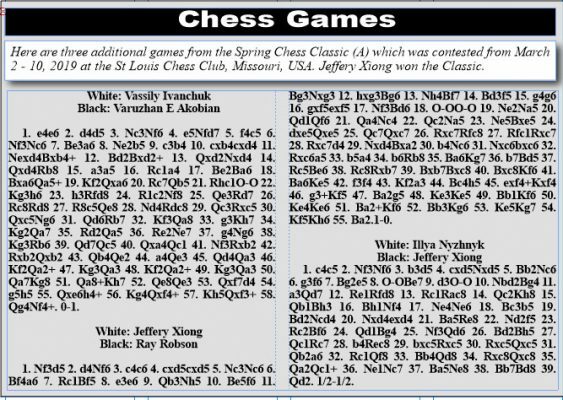 Placing second and third in the Junior Championship were St Stanislaus College’s Ghansham Allijohn and Queen’s College’s Rajiv Lee respectively, each with 4½ points. Allijohn gained the nod over Lee when the tie-break was administered. Last year’s junior champion Joshua Gopaul was disappointingly invisible during the Championship following a turn of illness which caused him to miss the third round. He had lost both of his games on the opening day. 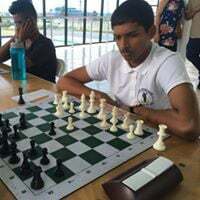 Andre Jagnandan, the 2019 Junior Chess Champion of Guyana. 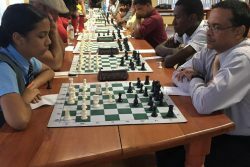 He played in three tournaments for the year hosted by the Guyana Chess Federation and won them all. Chelsea Juma, the lone female to qualify for the tournament, fought gamely to acquire her two points; such were the intensity and seriousness of the competition. 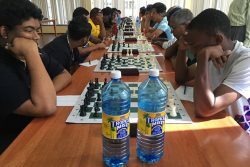 Juma is preparing, as part of a Guyana team, for the 8th Junior Carifta Chess Championships in Curacao from April 18 – 23, 2019. Junior chess is superbly on the rise, locally and internationally. Talent is emerging constantly. 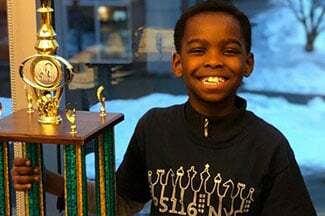 Take for example the curious case of 8-year-old Tanitoluwa ‘Tani’ Adewumi, Nigerian by birth, who won the New York State Primary Chess Championship in his category. Tani started playing chess a little over a year ago. His phenomenal rise is simply extraordinary. His FIDE rating is numbered at 1587, higher than any of our junior local players. But in fairness to our juniors, our chess is now beginning to look, and feel attractive. When he played his first tournament, his local rating was 105. By playing regularly, his number has skyrocketed to 1587. “I want to be the youngest grandmaster,” he told the New York Times. Tani has four years to accomplish that feat. 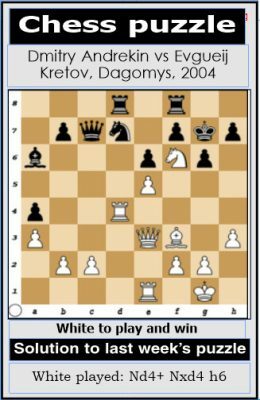 Russia’s Sergey Karjakin holds the title. He did it when he was 12. Can Tani do it? Yes, he can!